In 2013, over 1,000 donors contributed to help save this priceless heritage from destruction. Now you can help share it with the world. T160K.org has six partners across Africa, but the one most librarians and archivists might be interested in is the cataloguing efforts for the Timbuktu manuscripts in Mali. 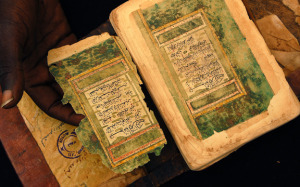 In 2012, under threat from fundamentalist rebels, a team of archivists, librarians, and couriers evacuated an irreplaceable trove of manuscripts from Timbuktu at great personal risk [read more]. The story didn’t end there. In 2013, 1,257 funders chipped in on Indiegogo to save and preserve the libraries from the damp of their new environment in exile. Now we’re ready to help with the next step: cataloguing these ancient manuscripts so that they can be shared with the world. We need $100,000 US in pledges to launch this project. Every contribution helps. 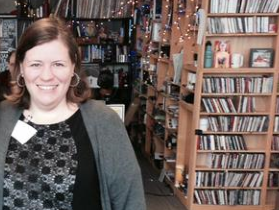 WHY cataloguing, AND WHY NOW? With the preservation effort successfully launched, the world has turned its eyes to other matters. But until these priceless libraries are cataloged, the knowledge they contain cannot be used. Our goal is to fund the cataloguing of this body of work–over 400,000 manuscripts in total–so that they can be shared with the world. The libraries of Timbuktu have been handed down and preserved for generations. There has never been a better time to undertake this effort. For the first time in history, these libraries are now gathered in one place under the care of trained archivists. This is an unprecedented opportunity, not just for scholars, but for the world. This project is near to our heart, because in 2013, T160k was originally formed in the rescue of these manuscripts from Timbuktu. We ran a successful Indiegogo campaign, Timbuktu: Libraries in Exile, which helped raise the funds urgently needed to preserve these treasures from damp and mildew. HOW MUCH FUNDING DO WE NEED? 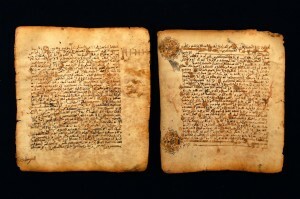 The corpus of Timbuktu comprises over 400,000 manuscripts. To hire and train catalogers, equip them with mobile devices, and put the technology infrastructure in place will cost about $5 per manuscript, a total investment of $2 million dollars. This is a huge number, but with many people making just a small contribution each, we can do it. And even with only part of the funding, we can make a huge amount of progress. When we have pledged support of $100,000 for the first year of work, we can launch this project. The manuscripts cover every topic from science and math to love poetry, legal judgments, and details of daily life. HOW WILL THESE FUNDS BE SPENT? Training local staff to carry out preservation and cataloguing is one the top priorities of the library. It is very important to us that the manuscripts remain in their home country and that funds spent develop local talent and sustainable capacity in Mali. WHAT REWARDS WILL BE PROVIDED TO FUNDERS? Everyone who supports the campaign will have their name recorded in the published volumes of the manuscript catalog–a declaration to the world of your valuable contribution to the work. Even $5 helps! Supporters who pledge $15 or more per month will specially named in each quarterly electronic published volume of the catalog, alongside the manuscripts they helped fund. Supporters who pledge $30 or more per month are entitled to a personal dedication or small photograph on the preservation media where the manuscripts are stored. They will join the people from our Indiegogo campaign whose dedications are already preserved as part of this historic effort. Supporters who can pledge $100 or more per month will receive a copy of the annual physical catalog inscribed with a personal message of thanks. Each one-time pledge of $350 pays for the training and starting salary for one cataloger. You will receive a personal letter from the cataloger whom you funded, a basis for an ongoing relationship with the project and people involved. Each one-time pledge of $500 pays for acquisition, deployment, and maintenance of one mobile device for cataloguing. We will inscribe the device you funded with a short personal message and a personal letter of thanks from the cataloguing staff. For a one-time pledge of $1000, we are able to invite you to visit Mali in person, see the cataloguing site, meet the project staff, and participate in cataloguing and preservation activities. Sorry, we cannot provide travel or accommodation. Who is running this project? T160k is undertaking this crowdfunding campaign in partnership with the Mamma Haidera Commemorative Library, the organization in Mali who is the custodian of the manuscripts. T160k is responsible for the crowdfunding campaign and providing verification that funds are being used for the cataloging project. The Mamma Haidera Commemorative Library is responsible for the cataloging effort itself. If you need $100,000 to launch this project, when will my contributions be collected. We can launch this project once we have $100,000 pledged for the first year of operations. Even a small donation can count for a lot, measured over a year. We won’t start collecting funds until this much has been pledged. Have the manuscripts been removed from Mali? The manuscripts currently reside in Mali, where they have resided for 700 or more years, and we believe they should remain there. Everything possible will be done to ensure this. Are there efforts to digitize the manuscripts? Efforts to digitize the manuscripts have been ongoing, but were interrupted by the violent uprising of 2012. The manuscripts are composed of extremely fragile papers and unstable ferrous inks which literally burn when exposed to traditional “hot light” scanning processes. A significant number of manuscripts have already been scanned using cold circuit photography. Complete digitizing of the manuscripts is one of our long-term dreams. Cataloging will help us move in that direction. UPDATE: There has been some media coverage that Google is interesting in assisting in digitizing efforts for the Timbuktu libraries. We have no details to announce on this yet, but it is one more reason to speed the cataloging of the manuscripts. For more information about T160k and our crowdfunding approach, see the T160k FAQ. 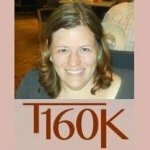 Special note, I am very much involved and one of the co-founders of T160K. ← 15 MILLION Page Views for INALJ! Hello, I am the Founder, Chairman and President of the Global African History Channel (GAHC) and the Global African History Network (GAHN), which are two Incorporated 501(c)3 organizations located in Brooklyn, New York. We focus on African History Preservation, Conservation, and the development and implementation of Global African History programs, coupled with African / Black Business Development, Historical Research, Publication, etc. … I am having my staff share this website and your information on our websites, business social network profiles, in addition to other media. I am very happy to know that this very IMPORTANT part of African History / Black History has been saved, and efforts continue to save even more. As you know, African / Black History spans Tens of Thousands of years and the entire world, so there is a lot of history to learn. Kindest regards, Mr. VonVictor Valentino Rosenchild. How wonderful! Our co-founder Dr Stephanie DIakite is featured in several images inspecting and working on the manuscripts. Someday I would love to see them too!